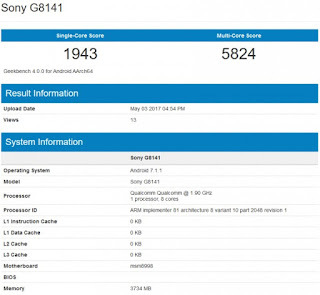 Someone has performed a benchmark test on a Sony Xperia XZ Premium device which carries the model number: G8141. GeekBench was the test of choice which also revealed RAM and the Android version: 4GB and 7.1.1, respectively. 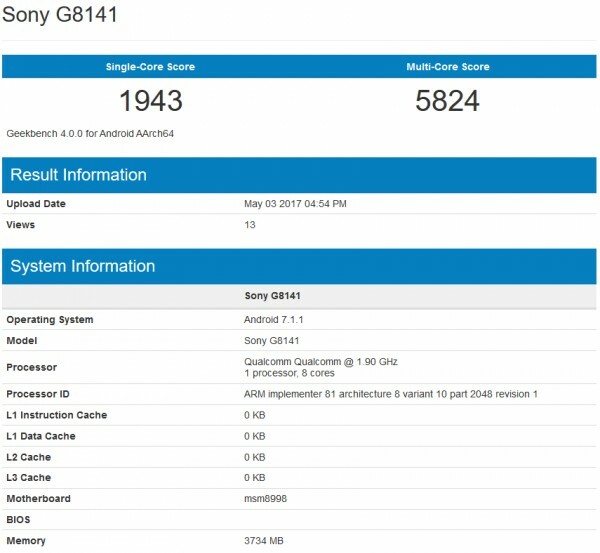 The GeekBench listed scores of the Xperia XZ Premium were 1943 and 5824 in the single and multi-core tests. Despite having the same Snapdragon 835 chipset as the Samsung Galaxy S8+ the device’s performance numbers are slightly different. The Samsung flagship got the scored higher at 6106 in multi core, but its 1915 in the single core test was lower. Either Sony has played with the clock speeds of the SD835 to improve battery consumption, or the differences come down to software. In any case, these numbers are still better than the ones achieved by the Sony Xperia XZs. With its Snapdragon 820, it scored 1724 in the single-core test and 3979 in the multi-score test. We’ll be benchmarking this device ourselves once we get our hands on it, so we’ll let you know if the numbers change. In the end, numbers are numbers. A 5% performance margin is negligible in this generation of mobile CPUs, especially if that benefits battery life. 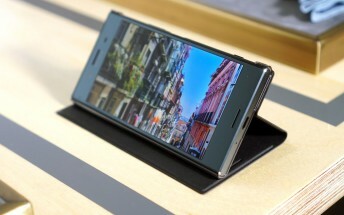 The Xperia XZ Premium is set to arrive in the UK on May 22 for £645 ($834) with pre-orders going live this week. June 1 is the date O2 will start shipping these guys in Germany (€749).